ARL Statistics is one of the annual surveys that FSU takes part in. ARL Statistics collects information on collections, expenditures, staffing, and service activities. 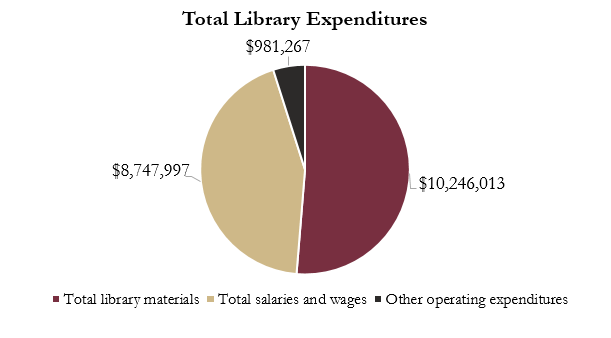 A closer look at FSU Library Expenditures (FY 2016-17). 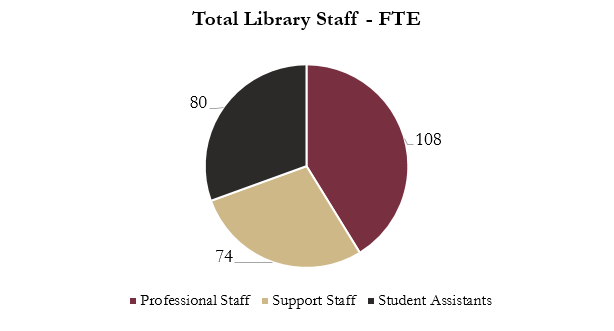 The following charts include expenditures for all FSU Libraries; Strozier, Dirac, Engineering, Law, Medical, Music, Goldstein, Special Collections, FSUPC, and FSURP. Library expenditures totaled $19,975,277 for FY 2016-2017. 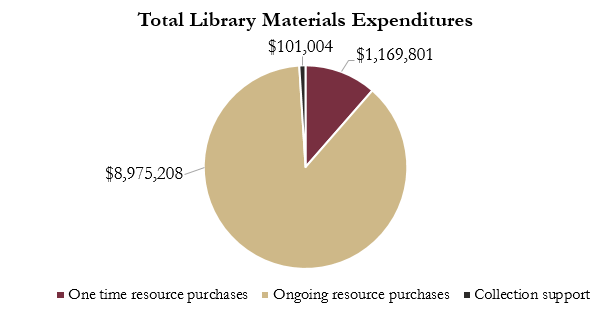 Within this category, FSU Libraries spends the most money on paying for ongoing resource purchases. This includes paying for subscriptions and annual licensing fees. 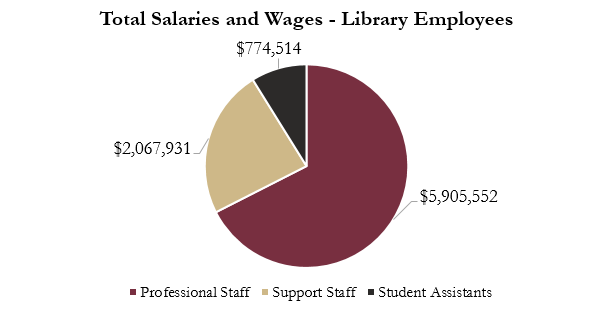 Salaries and Wages is the second largest category of spending for FSU Libraries. There was a total of 262 library employees classified as FTE (full-time equivalent).